You will never buy Garlic Texas Toast again! Homemade Garlic Toast is easy to make at home with a few ingredients and simple steps. 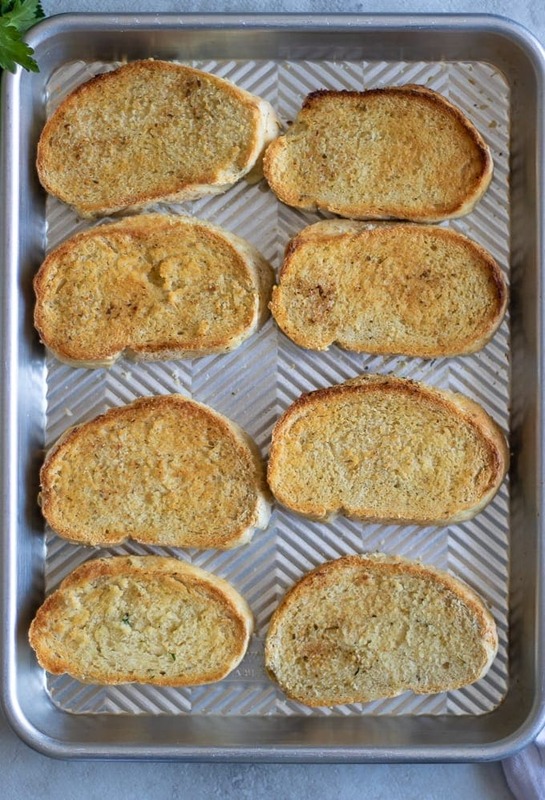 This simple garlic toast recipe is perfect to serve with pastas, soups, or on it’s own! My family loves Garlic Texas Toast. I mean, really what is not to love about buttery, garlicy, crispy thick toast? But I am not really a fan of all the ingredients that come along with store bought frozen garlic bread and garlic toast. Thankfully, with just a few simple ingredients, making homemade Garlic Toast is incredibly simple. Whether you call you it garlic bread or garlic toast, toasted bread that has been smeared with a garlic butter is a must when pasta is served. Well, at least my house it sure is! Making homemade garlic bread at home is NOT hard at all, in fact it is just about as easy to whip up as it is to open a package of Frozen Garlic Toast. Mix together softened butter with minced garlic, dried oregano, and salt. If you are dairy free, use olive oil in place of butter for Dairy Free Garlic Bread. I love to use homemade Italian Bread for Garlic Toast. However, store bought Italian Bread works. It is best to use day old bread, as it slices easier. Slice the Italian Bread into 1 inch thick slices. Spread a thin layer of the garlic butter on each side of bread. Place the buttered garlic bread onto a baking sheet. Place baking sheet into a preheated oven and toast for 3-4 minutes. Flip slices of bread over and toast for 2-3 minutes on the remaining side. I love to prep a batch of this Homemade Garlic Toast to keep on hand for pasta meals. Prepare garlic toast up to baking in the oven. Place the buttered garlic bread on a parchment lined cookie sheet. Freeze until just solid–about 20 minutes. 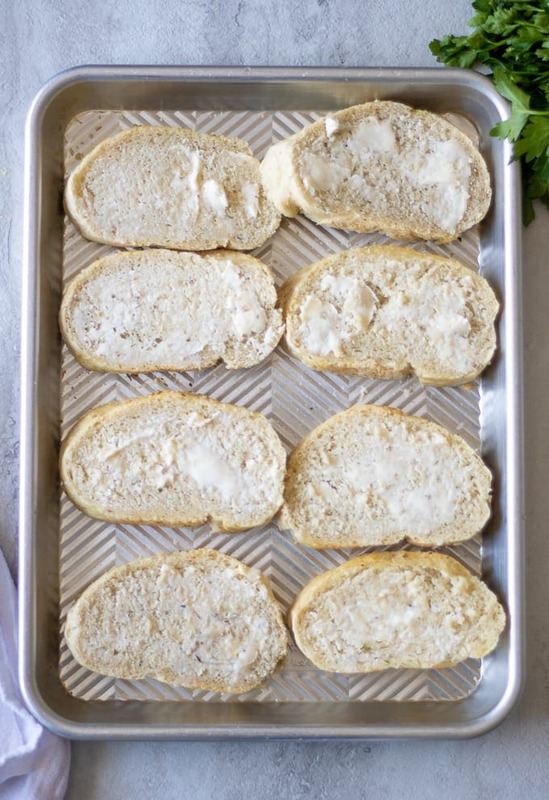 Remove slices of garlic bread from parchment paper and place in freezer safe bag. Place frozen garlic toast on baking sheet. Bake for 7 minutes on one side, flip and bake for an additional 5-7 minutes or until golden. Feel free to melt the butter and then mix with seasonings. Simply brush each side of your bread with the melted butter using a pastry brush. Use unsalted garlic bread. If using salted butter, omit salt from seasonings. If you like your garlic toast softer, bake at 375 degrees for 4-6 minutes per side, instead of at 425 degrees. It is NOT necessary to spread both sides of the bread with the garlic butter. By buttering both sides, it is more like store-bought Garlic Texas Toast. You will never buy Garlic Texas Toast again! Homemade Garlic Toast is easy to make at home with a few ingredients and simple steps. 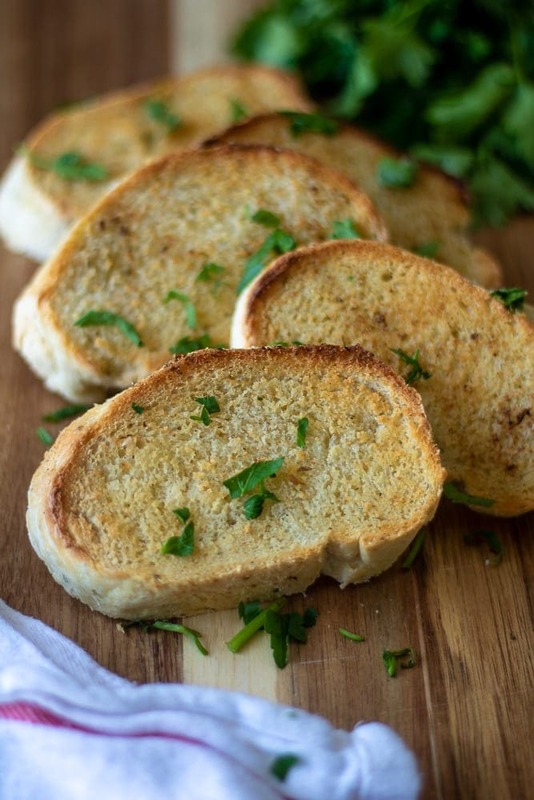 This simple garlic toast recipe is perfect to serve with pastas, soups, or on it's own! In a small bowl mix together softened butter with minced garlic, salt and oregano. Spread each side of the sliced Italian Bread with the garlic butter. Place baking sheet into a preheated oven and toast for 3-4 minutes. Flip slices of bread over and toast for 2-3 minutes on the remaining side. If you want Dairy Free Garlic Bread, use olive oil in place of butter and omit Parmesan Cheese. Feel free to use 1 teaspoon dried garlic powder in place of fresh garlic powder. Fresh is best for taste, but dried will work. Bread. Soup. Dip. — those are the three little words I love to hear in the Fall and Wnter! I’ve only attempted to make homemade bread once and failed. I think I didn’t get the yeast part right! This might be worth trying again! I feel like homemade bread is a lot easier than people think! And so worth it! I was gluten free for about a year and I’ve recently added it back in. Mmm. There is nothing gf that can compare! Oh girl, aren’t your so happy you can have your bread back?!!! Looks great. I always like finding new garlic bread recipes. Pinned it. 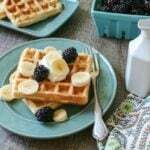 Found your blog on Full Plate Thursday and started following on Google +. Thanks Erin! I am so happy to make new blogging friends 🙂 And garlic bread—makes the nasty winters when we live on soup, so much better! Your Garlic Bread looks wonderful! Hope you are having a great day and thanks so much for sharing this awesome post with Full Plate Thursday. You bet! It is always a pleasure to visit your parties! I love garlic bread! This recipe looks so good, and so easy too! Thanks so much for linking up to Creative K Kids Tasty Tuesdays. I’m pinning this to the Tasty Tuesdays Pinterest Board. We would love to have you join us again this week! Thanks Sydney. 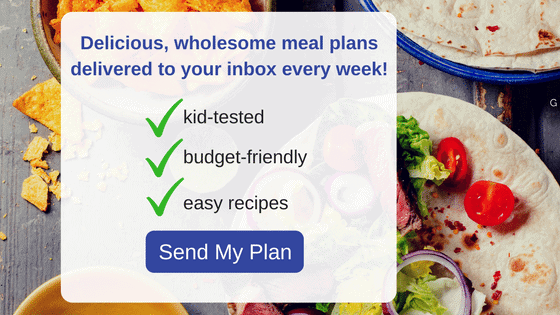 Tasty and easy are the way to go!! Worked great and a perfect side with our spaghetti! 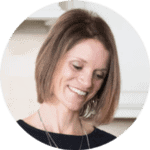 I love hearing that Justine! This was so easy to make. Just right amount of garlic! So glad you enjoyed Tatiana! This recipe is beyond easy!